Hi again (if you've been here before that is) welcome if you've been before or if it's your first time! Here we are again. How fast does time pass by? It's crazy. The Joy of Sets Challenge Blog (click on the name to be transported there in the blink of an eye to see what it's all about if you don't know... join in, it's fun!) is back again! This time the theme letter is W.
This one for me was a no brainer as my absolute favourite colour in the Stampin' Up! palette is Wisteria Wonder... at the moment it is anyway although it's in fierce competition with Cherry Cobbler right now for all those festive makes. But let's stop digressing and just imagine that Wisteria Wonder is my definite favourite, it perfectly fulfils the theme of W without even trying. 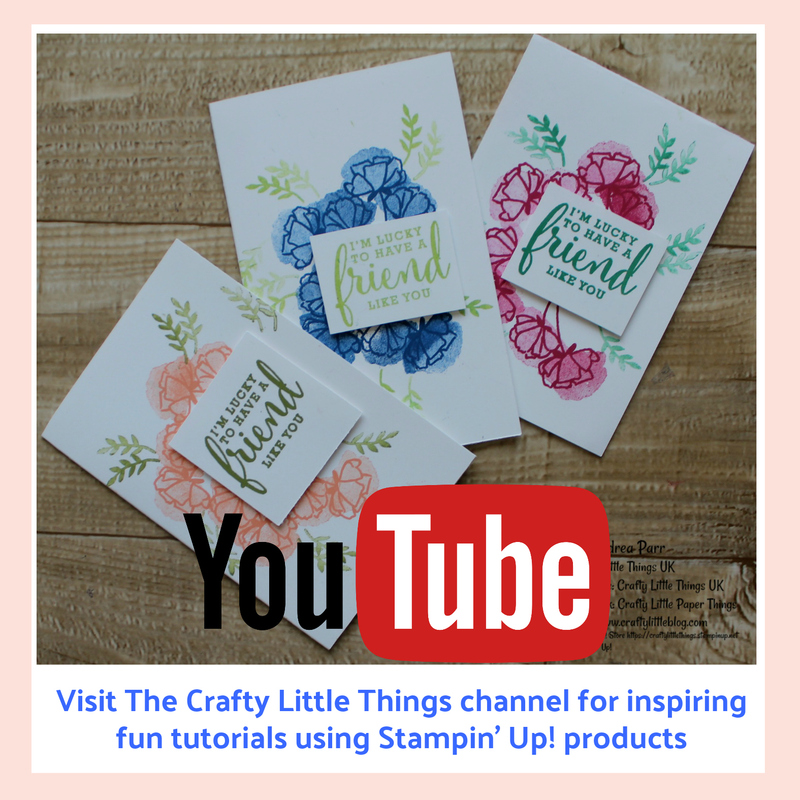 Hmmm, but I think the challenge calls for a stamp set with the letter W and as I don't have one I decided to use a stamp which had a word beginning with W on it... does it pass? I really hope so. 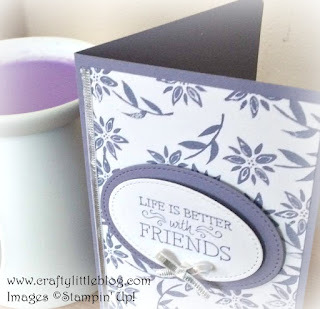 So for the W theme I used a Wisteria Wonder cardstock base and then kept it really simple with a Whisper White (more W's) layer which I hand stamped using an image from the Background Bits stamp set which I adore. 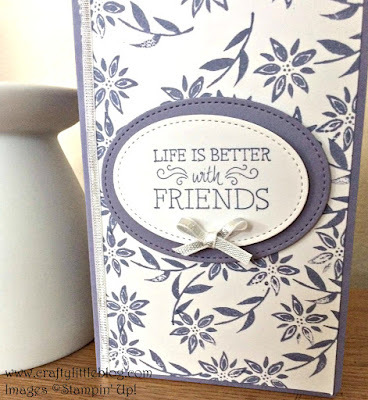 I stamped randomly in Wisteria Wonder ink to create this soft, feminine background for my stitched shape framelit sentiment. The sentiment is taken from the set, Just Add Text and is stamped again with Wisteria Wonder ink onto Whisper White and then using dimensionals positioned on top of a larger stitched shape oval cut from Wisteria Wonder. I finished off with a little bow on the sentiment and a strip of the same ribbon used for the bow along the left had side of the self stamped paper. 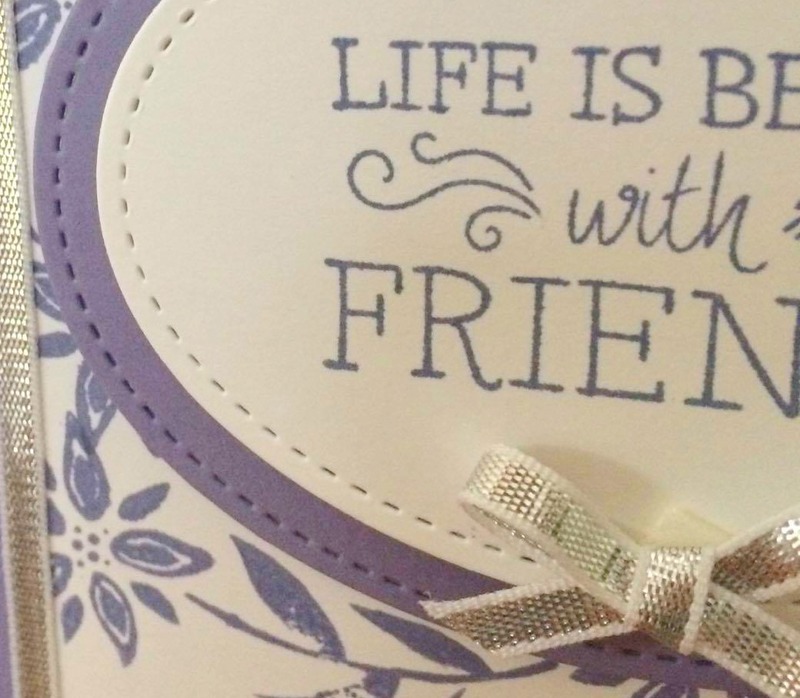 I love this ribbon it's perhaps my favourite in the whole Stampin' Up! range of 50 plus ribbons and trims just because it's so delicate, so versatile being silver and Whisper White it goes with so many colours and is only £4.50 for 9.1 meters so it's a really good buy too. 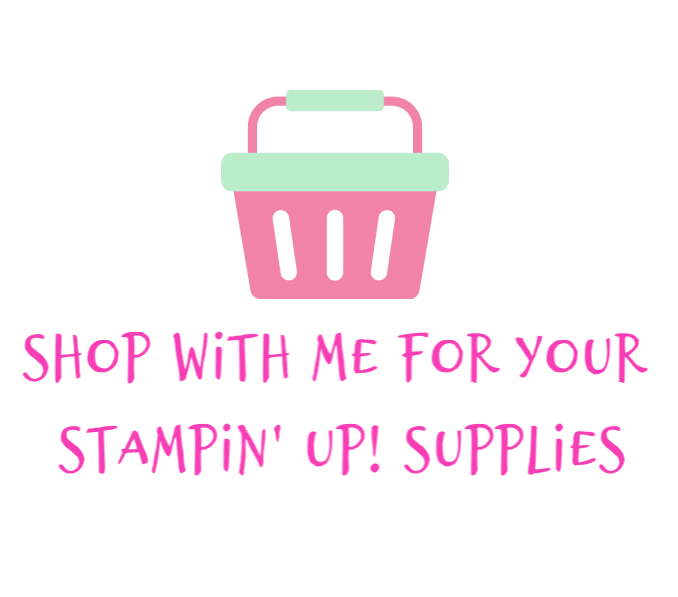 Everything I used is listed below and it's all kept securely together using Tombow liquid glue and Stampin' Dimensionals. 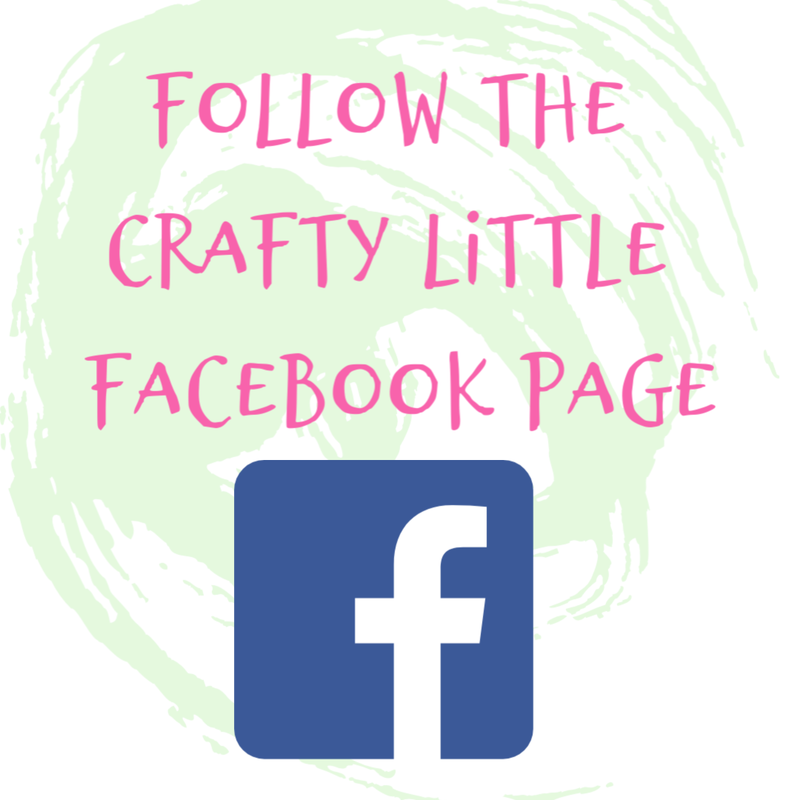 Have fun making it for yourself and if you do make something after being inspired by my blog and you share on Instagram do #craftylittlethingsuk so that I can see what you come up with. I love this colour. Many years ago I had a Colour Me Beautiful consultation (can you remember those?) and this was 'my colour', a rich lilacy shade which I think made me a spring person if I remember rightly. So maybe that's why I'm drawn to it. I also love corally orange shades because they remind me of a gorgeous top I had when I went on holiday to the South of France one year and it just looked fab with my tan and I wore it until it fell off me! Strange how our colour affinities are determined. I love it Jane. I sometimes think that the SU colours are so gorgeous that they speak for themselves. 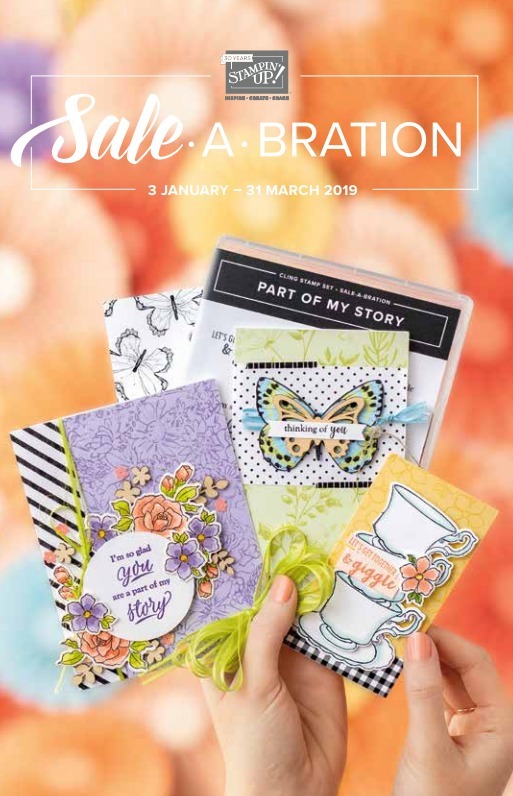 It's great for newbie papercrafters as they don't need to buy tons of stash to be able to create something gorgeous. 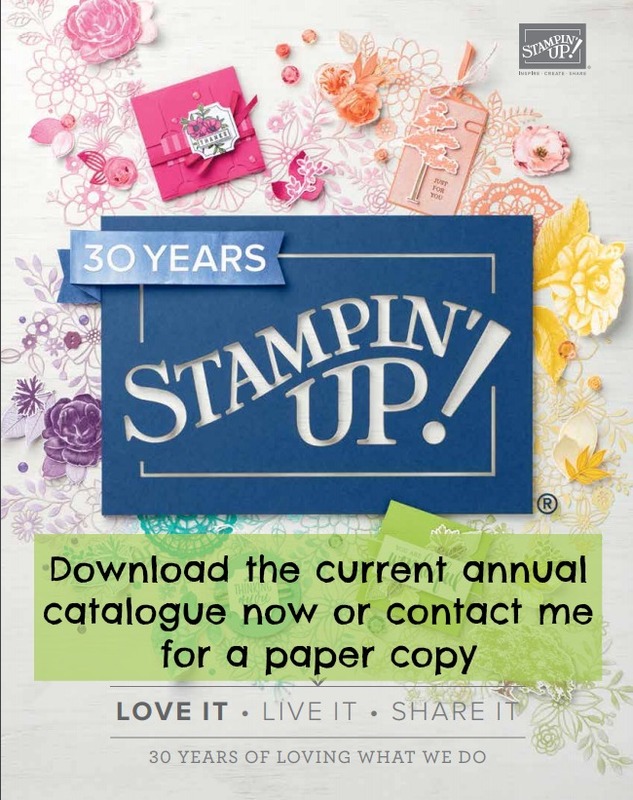 I'm not surprised to hear that Christine, I think we're Stampin' Up! soul sisters we have so many 'in commons'. Lovely card Andrea, I really enjoy seeing your designs. 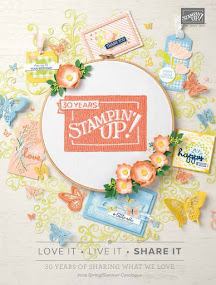 Sadly it doesn't fulfill the criteria of the challenge without the "W" stamp set so can't be added to the judging list. Haha Beverly you have to admire me for trying x I'm coming in with attempt number 3 which is made using a W stamp set that I forgot I had and overlooked when searching. So much for my amazing storage system. I'm trying my best to get one in and will remove the other two when I do.